Greens MP David Shoebridge addresses residents of all councils across Sydney who attended the launch of the Save Our Councils coalition, flanked by Independent MP Alex Greenwich and Christian Democrats MP Fred Nile. "Forced amalgamations are so unpopular, so anti-democratic, that everyone from the Christian Democrats to Labor to the Shooters and the Greens are standing together to oppose them in Parliament," Greens MP David Shoebridge said on Thursday. Picture supplied by Pittwater attendees. Pittwater locals, representatives of community residents and Pittwater Council Councillors attended the launch of the Save Our Councils coalition on Thursday June 11th at the Tree of Knowledge behind the New South Wales Parliament House. 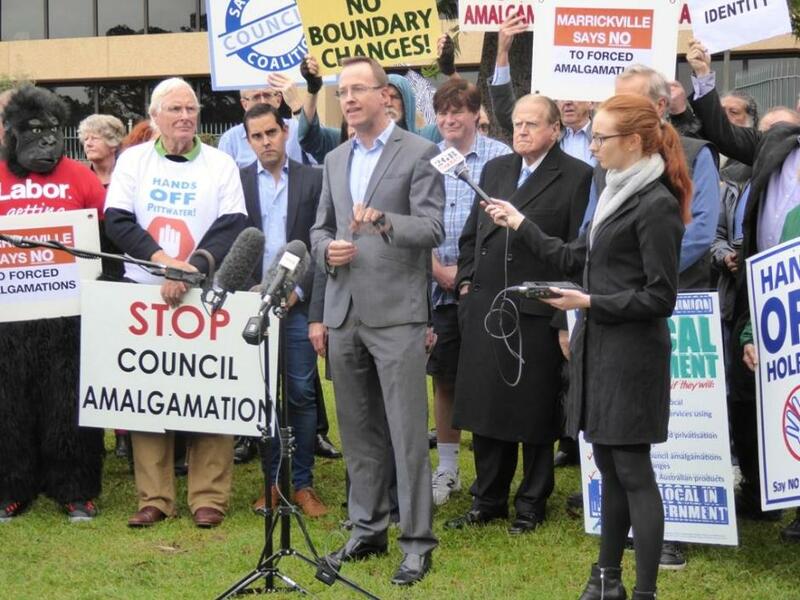 They were joined by State MP’s from the Greens, Christian Democrats, Shooters and Fishers Party and an Independent who stated their opposition to what many see as a flawed process whose sole aim is to force unwanted amalgamations on councils and community. The Save Our Councils coalition is saying: “Save Our Communities” and calling on all MPs to show respect for their local communities and their right to participate in their local council. Residents across NSW are unhappy with the Baird Government’s plan to force Councils to amalgamate. We believe amalgamations should only proceed where the community of each local government area has voted in a referendum in favour of amalgamation. 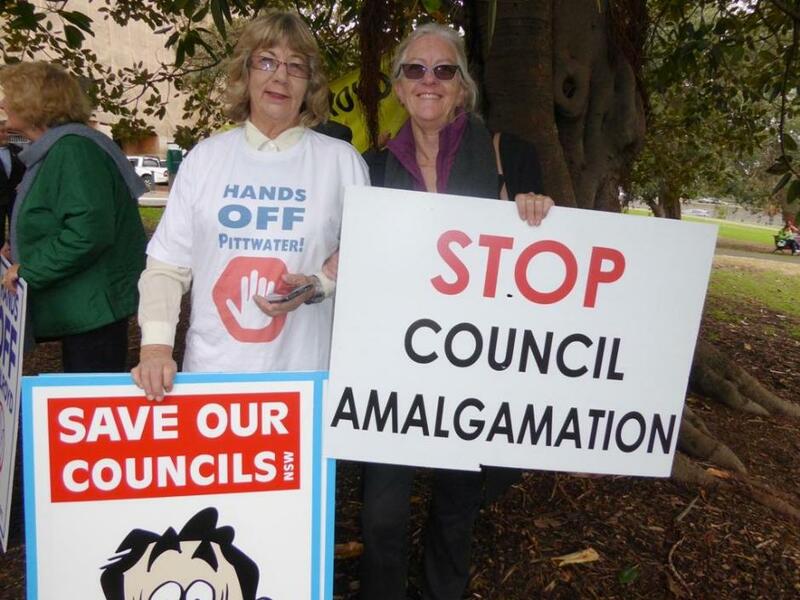 “We are calling on all MPs to reject any legislation or government action which would force any existing councils to amalgamate,” said Mosman Councillor and SOCC organiser Carolyn Corrigan. The NSW Government wants to significantly reduce the number of councils and create ‘mega councils’ with populations in the Sydney metropolitan area of up to 500,000 people – more than the whole population of Tasmania. There are an average of 9,000 residents to each councillor in NSW at the moment. A mega council of half a million residents would see that figure blow out to one councillor for 33,000 residents. The ability of residents to participate in and have their voices heard by local government is critical to well being. “That’s because local councils are the heart and soul of local communities,” said Leichhardt Mayor Rochelle Porteous. Under the guise of the ‘Fit For the Future’ program the NSW Government is proposing to force local councils to amalgamate against the wishes of their local communities. “We love our local councils and we are going to fight to save them,” said Nella Gaughan from the Save Our Strathfield Residents group. “Residents in many areas are worried about the impact of development and we believe that the program of forced amalgamations the Baird Government is planning is a vehicle for rapid and massive overdevelopment,” Ms Gaughan said. “The State Government is treating local communities and local councils with contempt,” said Mayor Rochelle Porteous. “This is taking democracy away from the community and will destroy local services and local jobs,” said Holroyd Mayor Greg Cummings. The Save Our Councils Coalition has the support of more than 50 residents groups as well as numerous Councillors and Mayors across NSW. Two of our Northern beaches councils have released their amalgamation survey scores this week and these results are polar opposites. Findings from Pittwater Council’s survey revealed a majority of residents support the status quo, but the majority of Warringah residents say they want one mega council. Pittwater Council’s random sample telephone survey confirmed 89 per cent of the community want to remain independent. Meanwhile, Warringah Council’s online survey revealed 74 per cent support one Northern Beaches council. But 80 per cent of Pittwater’s surveyed residents said no to that option. Pittwater Mayor Jacqueline Townsend said the results cannot be ignored. “How many times does our community need to speak out?” she said. “Again and again our residents have told us they don’t want to be part of a mega council. 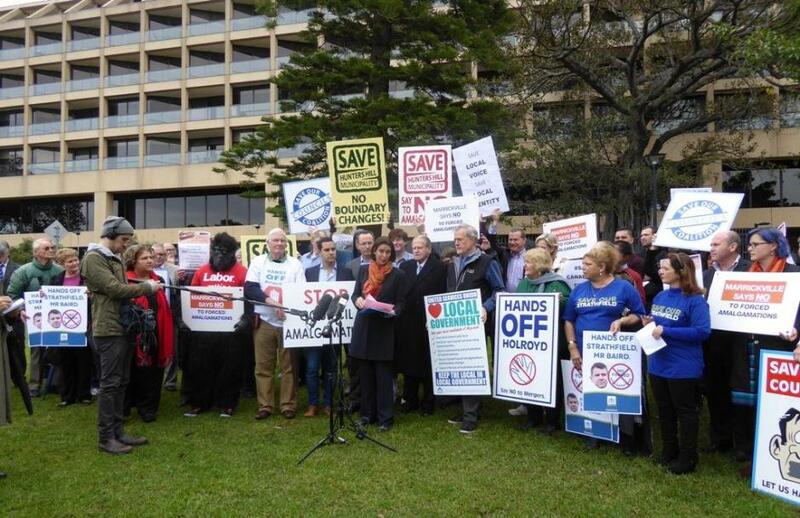 A non-aligned coalition of community groups, residents and business organisations, local councillors and mayors across NSW, who have joined together to fight any amalgamations which are not supported by the majority of the local community. We love our communities and our local councils. The NSW Government wants to significantly reduce the number of councils in NSW and create ‘mega councils’ with populations in the Sydney metropolitan area of up to 600,000 people – bigger than the whole population of Tasmania. This will mean that local representation, local accountability and timely and appropriate responsiveness to local needs will effectively end. Local councils reflect the local culture and local values of the community. Large amalgamated councils will not be able to do this – resulting in a loss of identity and place for local people. Importantly, the loss of local councils will significantly, probably fatally reduce advocacy for local communities campaigning for better planning laws and for appropriate development and against unpopular projects like WestConnex and NorthConnex. WE ARE CALLING ON THE NSW STATE GOVERNMENT TO KEEP ITS PROMISE OF “NO FORCED AMALGAMATIONS” AND LET LOCAL COMMUNITIES DECIDE.